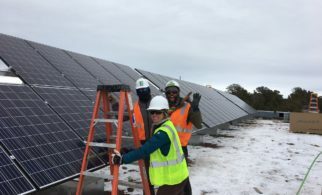 A common tool in the energy efficiency industry, on-bill recovery (OBR) or on-bill financing (OBF) has also been used to support expanded solar access. OBR/OBF allows customers and financial institutions to use their electric bill as a means of repaying an energy-related loan. A customer will apply for a loan for a qualifying energy efficiency or other distributed energy resource and, upon approval, the loan payments are added to the customer’s electric bill. This type of program has many benefits to both customers and financial institutions. Fewer bills. OBR/OBF allows customers to add a loan and payment program without adding a new bill. Most families or individuals are already paying their energy bill and have a system for paying it. Simple to understand. OBR/OBF is generally used for technologies like solar that deliver utility bill savings, which offset the added cost of the loan payment. Customers can see a reduced bill and the loan payment side by side and can track the net increase/decrease in their bill. Transferable. OBR/OBF programs are often tied to the property meter, making it possible for the loan to be transferred to a new homeowner in the event of a sale or move, reducing customer risk. Reduced credit barrier. In addition to being transferable, OBR/OBF can potentially remove or reduce credit barriers if the OBR/OBF program relies more on bill repayment history than on credit scores. Fewer bills. OBR/OBF allows financial institutions to use an existing billing system, the electric utility bill, to recover payment of their loans. This reduces overhead costs and defrays the cost of recovering delinquent payments, since the utility is already taking on much of that work. More reliable repayment. Utility bills tend to have better repayment rates than other bills. There are many likely reasons for this, but a large one is the real or perceived fear of service interruption. This can help to make financing for low- to moderate-income communities more accessible and more affordable by reducing the risk calculation of financial institutions. Transferable. One risk of loans that are tied to a home is that the transfer of the loan to a new customer adds risk and uncertainty to the loan. While OBR/OBF does not solve that problem, it does allow for easier loan transfer as part of the transfer of utility bill payment. 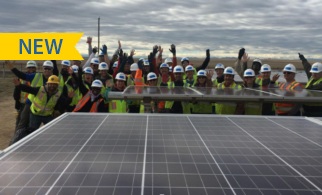 Green Jobs-Green New York (GJGNY). 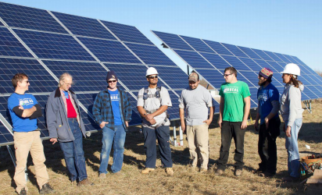 Green Jobs-Green New York, administered by the New York State Energy Research & Development Authority (NYSERDA), provides subsidized loans with on-bill-recovery for energy efficiency and solar projects. 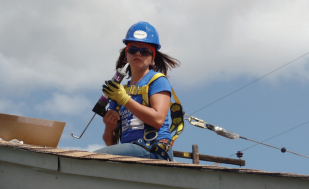 The program, created by the legislature in 2009, combines free or low-cost home energy assessments, low-rate loans to homeowners, and resources for community-based organizations to expand access to energy efficiency and solar across the state. 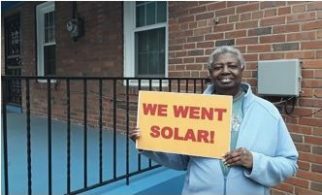 By June of 2015, the program had issued more than 8,250 loans with an estimated $44.2 million of annual energy bill savings, primarily for energy efficiency. 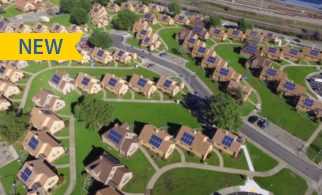 In October 2015, NYSERDA initiated a pilot program to determine the effectiveness of using GJGNY loans to prepay solar leases and power purchase agreements for projects receiving the Affordable Solar residential added incentive under the NY Sun Initiative. The GJGNY Third Party Owner Pilot is limited to 300 projects. Roanoke Electric Cooperative. The Roanoke Electric Cooperative Upgrade to $ave model has successfully implemented an OBR program based off pilots pioneered in Kentucky and Kansas called PAYS (Pays As You Save). Under the PAYS model, residents pay a voluntary tariff on their utility bill in exchange for energy upgrades in homes and businesses. The tariff and repayment collection are implemented through the current on-bill system, limiting administrative burdens. Currently, Roanoke has a waiting list for participants, who are able to engage in a debt-free financing program. 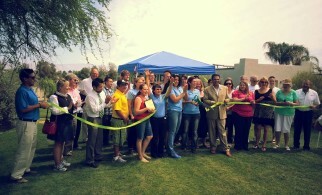 If participants are to relocate or move, the payment remains with the home or business.